A much more disciplined, if all too brief, visit to this excellent event this year. I had just over an hour and couldn’t spend as much time as I would have liked but still caught up with a lot of of bodegas and sampled a few cracking wines. Once again if the salon is anything to go by then the sherry business is in rude health with a lot of bodegas, a lot of wines and a lot of interest. There were even bodegas I didn’t know – specifically Elias Gonzalez, with a pair of pretty handy manzanillas – and bodegas that I haven’t yet seen on the circuit, like Sanchez Ayala and Fundador. There were bodegas from both major DOs, from el marco but outside the DO (Monge) and from Condado de Huelva. 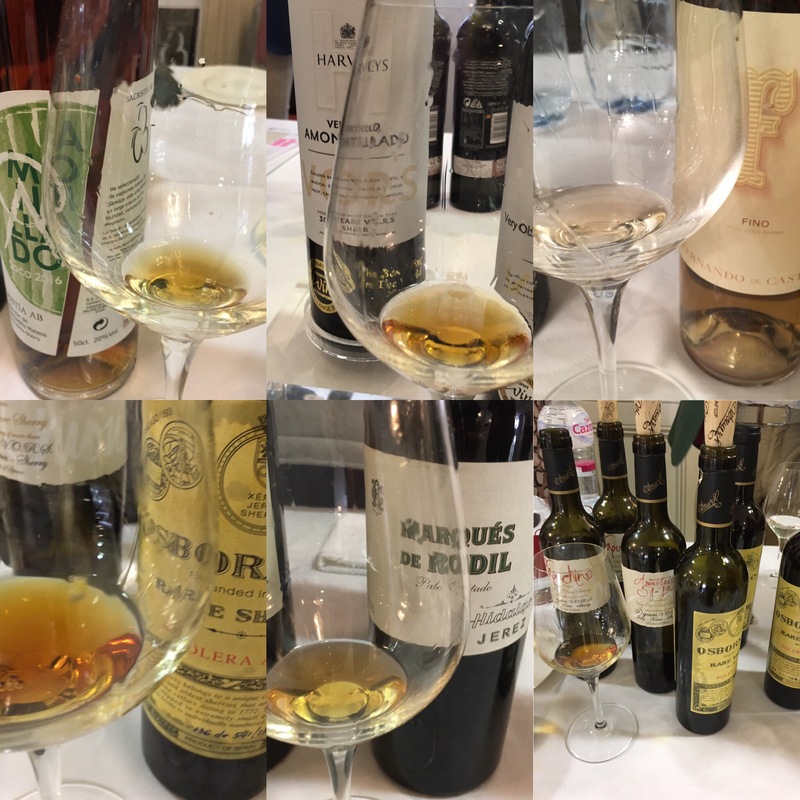 As to the wines, it was a great chance to try a lot of wines side by side, including the new sacas of the Manzanilla by Sacristia AB, Puerto Fino by Lustau, the En rama by Fernando de Castilla (and the Antique while I was there) (and the vermouth), the Pastora by Barbadillo, the Goya and Goya XL, and the old saca of the La Guita en rama (still October 2015, a new saca expected in October this year). 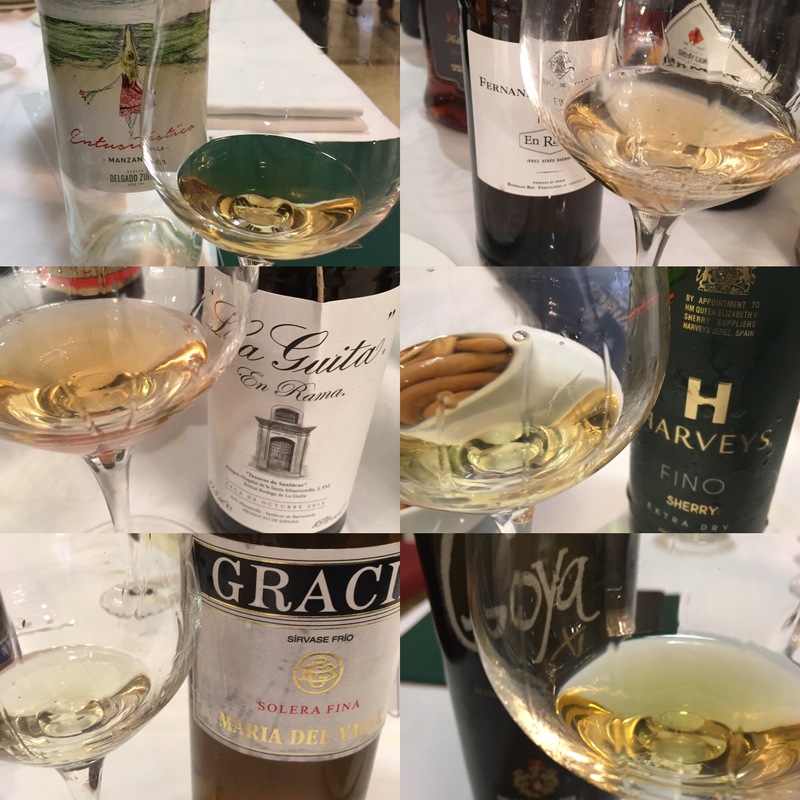 I also had my first chance to try the Fino Harvey’s by Bodegas Fundador – not bad at all – and the Gracia Solera Fina by Perez Barquero, which despite only 6/7 years under flor was saline and beautifully refined. Bodegas Tradicion had some intriguing magnums of fino that I wish I had more time to investigate. As I said, I didn’t have a chance to try everything, and was intrigued to learn later that there was a new, February 2017 saca of the Williams & Humbert añadas – definitely will be looking out for that next time. Moving on to the bigger guns, it was great to finally meet Fernando Hidalgo of Emilio Hidalgo and try a few of the old friends hw had brought along. Their Marques de Rodil palo cortado in particular was even better than I remembered – real saline edge to it – although they told me there is none left for the moment so will have to search around. Other memorable wines would include the 2016 amontillado from Sacristia AB – one of the most elegant around – and the “world champion” VORS amontillado by Harvey’s. Hard to live up to that hype but it is a serious wine, no doubt. I then spent some time getting to know the Capuchino, Sibarita, AOS and BC 200 wines by Osborne. Real classics all of them, and it is just remarkable how well integrated those abocados are – probably the best wines of that style that I know of. Again I am aware that I missed out on a few things. Perez Barquero apparently had some bottle aged amontillado that impressed a few of the guys, and a lot of people were excited by the Cigarrera amontillado and oloroso. Again, so many top wines, so little time etc. But overall an outstanding salon – kudos once again to the Calduch Comunicacion and I for one hope that a lot of business was done (if only so that I can try a few of these wines at my leisure around Madrid).